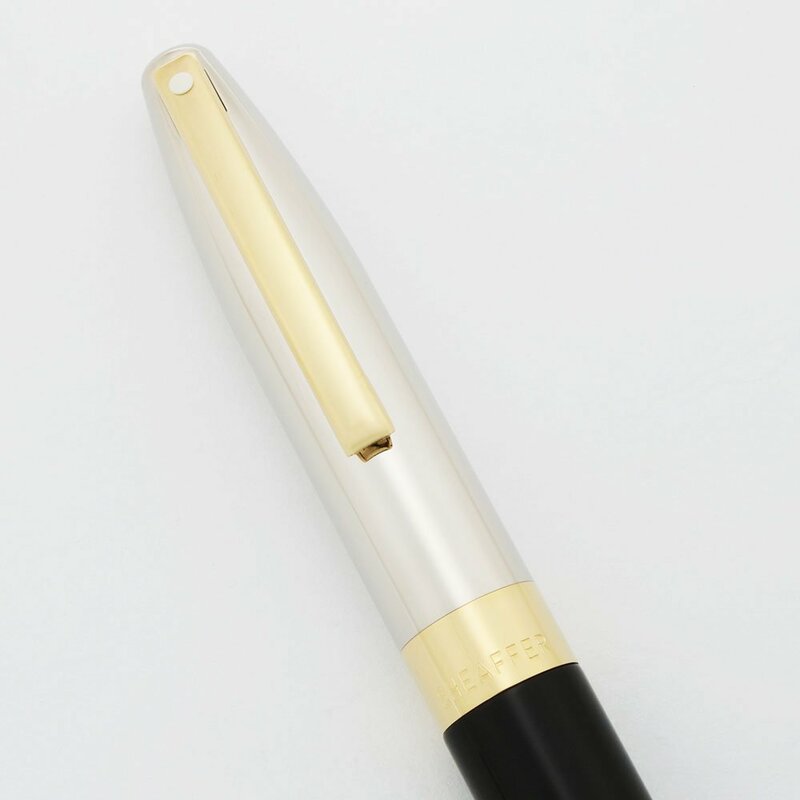 Sheaffer Legacy Heritage ballpoint pen; this model is from the last Legacy series. Black barrel with palladium cap and gold plated trim. White dot on top of clip. The pen is working very well and is in excellent condition. Product Name Legacy Heritage, this was the last version of the Legacy line. Length The ballpoint is 5-7/16". This is quite a large pen. Filling System The pen takes Sheaffer ballpoint refills. A working refill is installed. Color Black lacquer barrel with palladium cap and gold plated trim. White dot on clip. Condition Excellent condition. No dents or cracks or personalization. The trim has polishing marks and microscratching. The heavy, substantial pen looks shiny and beautiful.